These Berrien Springs Michigan homeowners wanted more usable space. There was an existing deck that served as their entertaining area that was in good condition, however they really wanted to expand their entertaining area and have additional seating to accommodate all of their guests. There was also an access door coming from the garage that the homeowners used frequently. The existing space was not very functional and didn’t look very appealing either. On the other side of the deck there was an existing timber wall that needed to be replaced as well. For this backyard remodeling project in Berrien Springs Michigan, we leveled the ground for the installation of the new patio. 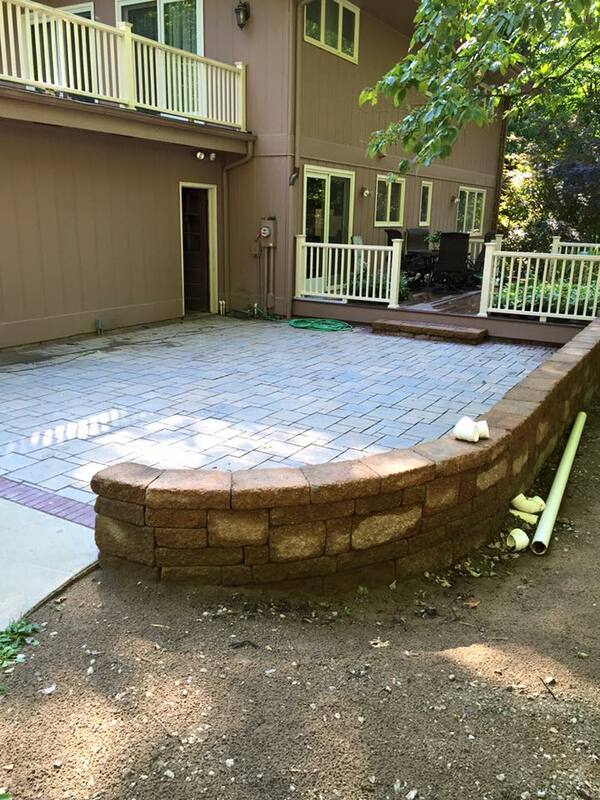 The patio pavers these homeowners chose was a great product made by Unilock in a brown tone that compliments the home. Since the homeowners also needed additional seating, we suggested a seat wall that would accommodate additional guests. See how the patio came together in the quick video below. On the other side of the deck, we removed the existing timber walls and replaced them with the same product we used for the patio seat walls to create continuity throughout the property. We also installed new steps up to the deck on both sides. 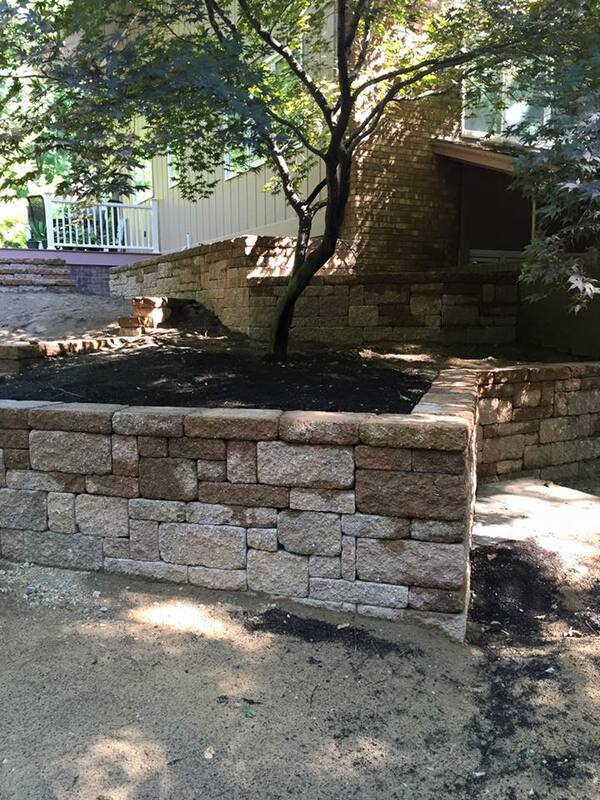 Check out this quick video of the completion of the rear retaining walls. Check out additional project profiles to see our work in action, or contact us today to start your project! You can get additional ideas for your project by visiting us on Facebook, Houzz, Google+, Twitter, and Pinterest.